Dr. Latta grew up in the Dayton, Ohio area and attended The Ohio State University for his undergraduate studies, obtaining a Bachelors of Science degree in Medical Laboratory Sciences. Dr. Latta continued his dental education at The Ohio State University College of Dentistry. One of his favorite and most fulfilling experiences through dental school was participating in a service trip to Honduras, providing dental care to poverty-ridden communities and those with no access to healthcare. Dr. Latta is a member of the American Dental Association and the Ohio Dental Association, participates in local dental societies and study clubs, and is a member of the American Academy of Cosmetic Dentistry. Dr. Latta is an avid Buckeye supporter and fan, he enjoys discover new music, traveling, cycling, playing Frisbee and golf. 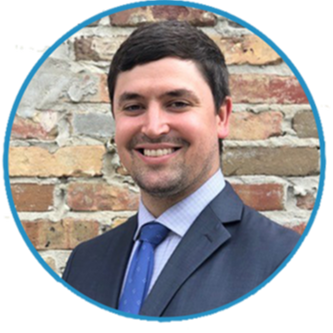 Among his many hobbies, Dr. Latta is both passionate and compassionate about people and providing the best possible experience for each and every one of his patients. Always holding himself to a high standard, Dr. Latta strives to achieve quality patient satisfaction in his care and provide people with the smile they deserve.